WeekendATV.com site and staff news. Gorilla Whips LED Whip Giveaway! It’s the season of giving and we’re going all in. We’ve teamed up with Gorilla Whips to give away, not 1, but 2 of their wireless LED whips! This comes on the heels of our recent review of the Gorilla Whips LED Xtreme Whips found here. The new wireless LED whips do away with the inline controls for changeing colors, pattern, etc. and trade up to a multifunction remote that puts each option at your finger tips much easier. Check out Gorilla Whips for more infomation about their awesome whips at http://www.gorillawhips.com. To enter our giveaway to win a Gorilla Whips LED Xtreme wireless Whip, visit our contest page and enter your email address. 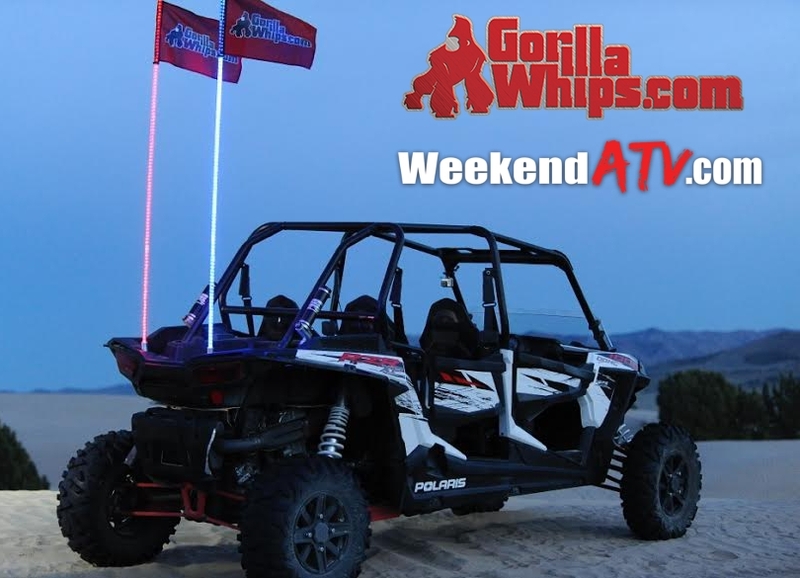 Bonus entries for liking WeekendATV.com and Gorilla Whips on Facebook. Happy Holidays! WeekendATV.com is a new creation for my friends and I to post about our ATV experiences. We are all amateur riders so no professional opinions will be found here. Just our observations and personal reviews of the places we ride, the ATVs we use and the accessories we buy and maybe even a how-to. Hopefully you will find something of interest.